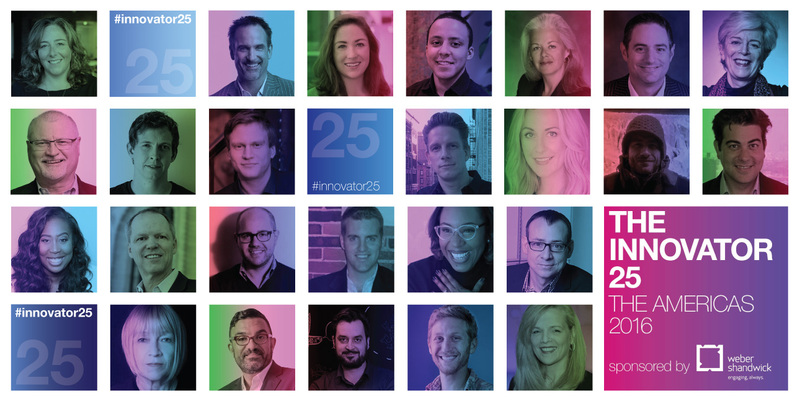 Our fourth annual Innovator 25 North America expands this year to the Americas to include Latin America and Canada. 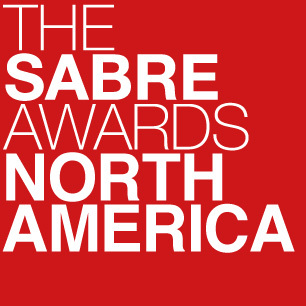 This year's innovators made the cut because they're producing work that points to the future of marketing and communications. We've heard the buzzwords words many times — courageous, authentic, game-changing, shareable, sticky — these 25, in some capacity, have put these into action. This year's class comes from a range of organizations— the world's largest PR agency, specialist boutiques, brand new firms and brands. Many of those on the list were involved in some of the most celebrated and innovative work that pushes the boundaries of influence and engagement. For the first time this year, we asked the Innovators about their hometowns to explore the types of backgrounds represented on the list. While nearly half of the Innovators now reside in New York, only one is originally from the city. Similarly, while nearly 30% are clustered along the West Coast — just a handful are natives. Unsurprisingly, there wasn't much consistency across the Innovators hometowns — these ranged from Brunei to Upstate New York to Houston. Overall, the Innovators are seasoned professionals with more than 70% report having been in the industry for more than a decade and 40% report directly into their CEOs. The 40% who report into 'other' include those who don't report into anyone at all, the chief data/analytics officer, presidents, general managers and general counsel. Interestingly, while the innovators have established careers, most are relatively new to their current positions. Fifty-two percent have been in their jobs for three years or less and only 4% have been in the same position for more than two decades. Notably, 41% of the Innovators favor disrupting the agency model as the most important way to push the industry forward. This is up considerably from last year when only 17% selected the same answer (65% of the innovators worked in an agency last year, compared to 73% this year). Meanwhile 23% think it's the industry culture that needs to change (up slightly from last year's 17%) and 27% believe the industry should rethink its hiring practices (this up from 13% last year). 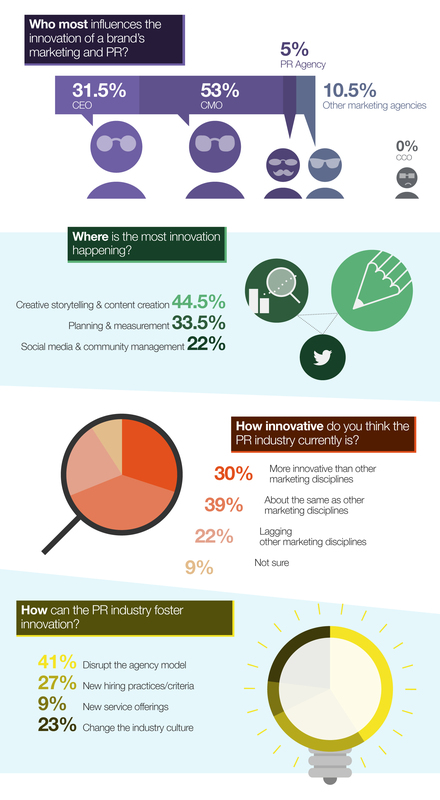 This year's class is more bullish on PR — 30% maintain the PR industry is more innovative than other marketing disciplines, up from 22% who said the same from the last year's class. Even so, the number who say the PR industry is lagging others is up to 22% from 17%.